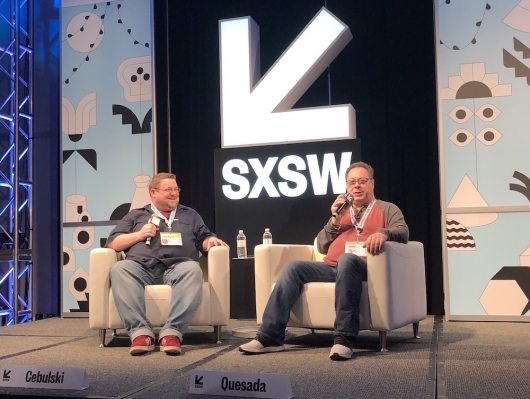 That was the intention behind a SXSW panel featuring Marvel Chief Creative Officer Joe Quesada and Editor in Chief C.B. Cebulski earlier this week. Sure enough, the pair spent nearly an hour outlining the various ways original work in the comic book publishing arm translated over to other mediums with great financial success. Some of the best examples included major comic event storylines being adapted to blockbuster big budget films (Civil War, Infinity War) and mobile game Contest of Champions using exact costume designs from current comic series runs. 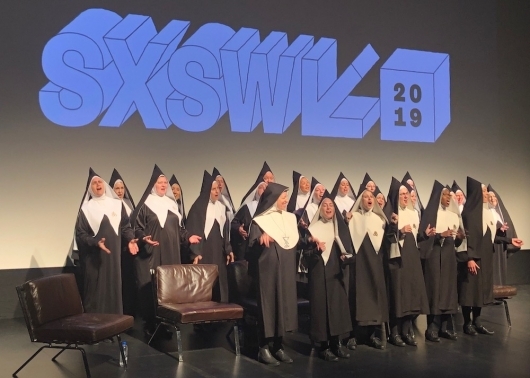 Also, nuns are literally everywhere. Every. Freaking. 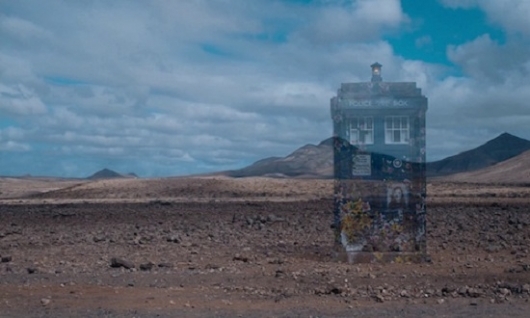 Where. First off, yes, Texas’ weirdest city is full of rowdy, unapologetic sinners from all walks of life. 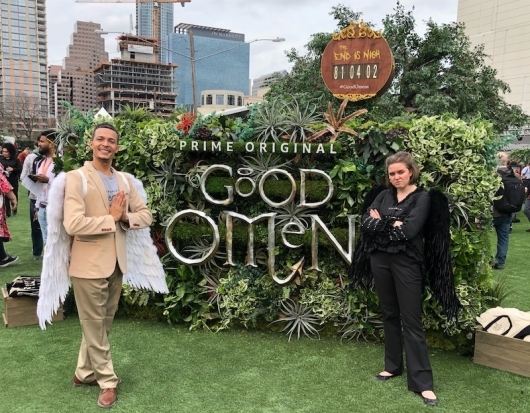 Secondly, no, none of them caused this — rather it’s an enormous promotional blitz Amazon Studios created at the annual SXSW conference for its adaption of the novel Good Omens written by Neil Gaiman and Terry Pratchett. 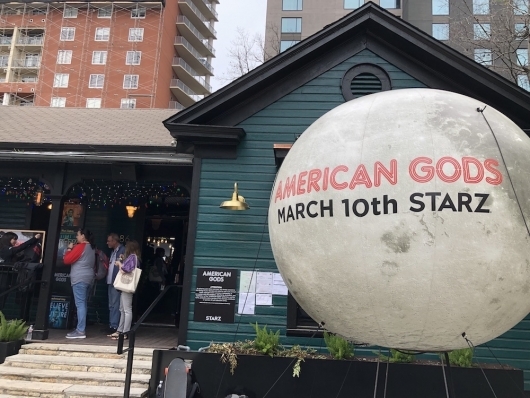 American Gods, the Neil Gaiman novel adapted into a Starz TV series, is properly represented at this year’s SXSW event to hype up fans ahead of the season 2 premiere tonight, March 10. 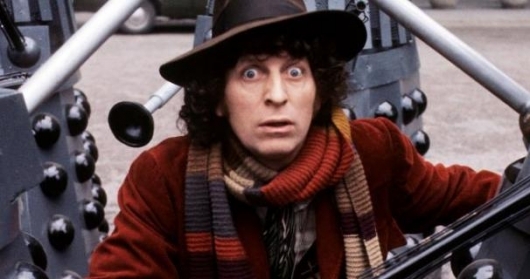 The world got its first glimpse of the series at SXSW in 2017, where Starz assembled much of the insanely large cast for a panel discussion following a screening of the first episode. 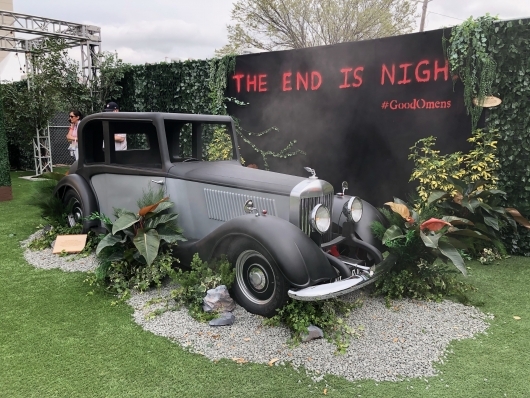 And as Gaiman is as (if not more) popular than Alexandria Ocasio-Cortez for this year’s SXSW, there’s no way they were going to miss out on a chance to do something to celebrate the show. 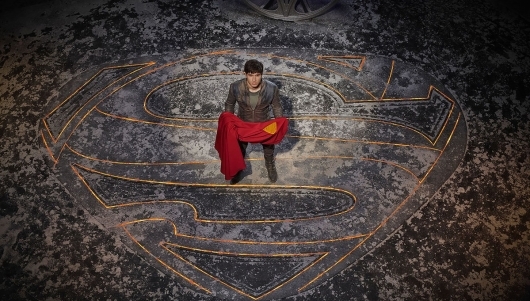 Creators of the upcoming Syfy series Krypton were on hand at DC’s pop-up SXSW store this weekend to share what fans can expect from a Superman TV show, which doesn’t actually include Superman himself. 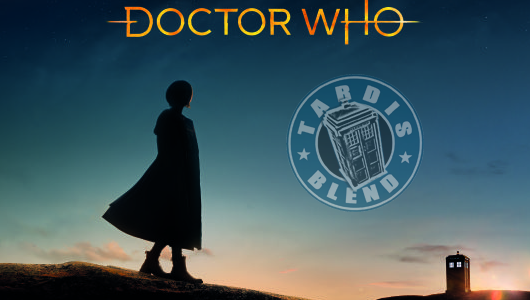 For those living under a rock, Krypton is a prequel series set about 200 years before the explosion of the planet Krypton, which comic geeks will know is the event that led to baby Kal-El to be sent off in a rocket headed for Earth. As such, the show will focus on Superman’s grandfather Seg-El, father Jor-El, and a smattering of characters from the greater DC universe. And since the planet Krypton orbits a red sun, Kryptonians won’t exactly have the sort of powers we’re used to seeing in Metropolis, so to speak. Still, Krypton’s show creators explained that this makes for fertile ground when it comes to storytelling.